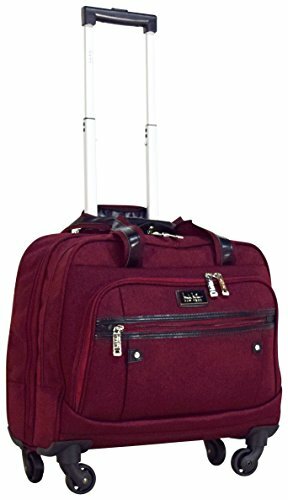 The Nicole Miller Taylor Carry On Spinner Briefcase features lightweight construction, cotton canvas, 360 degree spinner wheels for effortless mobility, push-button telescopic handle system, and easy carry top handles. If you have any questions about this product by Nicole Miller New York, contact us by completing and submitting the form below. If you are looking for a specif part number, please include it with your message.